Canadian Network on Humanitarian History » Seventh Bulletin of the CNHH. March 2018. Congress and Workshops, Archive and Research News, New Members, and Recent Blog Posts of the CNHH. – Irish CNHH member and founder, Kevin O’Sullivan, from the National University of Ireland, Galway, is visiting Toronto (5 February – 3 March) and Ottawa (3 March – 12 March). He will present his current work in a workshop on “Populist Humanitarianism: Responding to Famine in Africa, 1984-86” Tuesday March 6 2018, from 1:00 to 3:00 pm, at Carleton University, Paterson Hall, Room 433. For more information, or to join by Skype, click HERE. -CNHH Swiss colleague Valérie Gorin, Senior Researcher at the Institute of Social Sciences at the University of Lausanne and lecturer and researcher at the Centre for Education and Research in Humanitarian Action, will visit Carleton University from May 27 to June 9 2018. 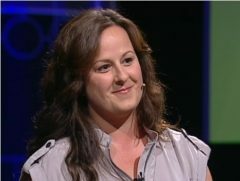 She will also join the CNHH events in Regina. Her areas of research are related to the visual culture of humanitarianism, the history of communication and humanitarian action and to the evolution and uses of photojournalism in modern times. She is currently interested in the virtual reality in humanitarian appeals, and on the link between citizen photojournalism, (eye) witnessing and advocacy strategies in humanitarian settings. One of her projects is entitled “The spectacle of the revolution. History of the commemorations of the 1917 October Russian revolution”. It is financed by the Swiss National Science Foundation,She can be reached at Valerie.gorin@unige.ch. -German colleague Soenke Kunkel, from the Department of History of the Free University of Berlin’s JFK Institute, will join the CNHH events in Regina, from May 27 to 31 2018. Soenke works on American History in a global context, global media, history of development, natural disasters, global cities and humanitarianism. He is the author of Empire of Pictures: Global Media and the 1960s Remaking of American Foreign Policy, 2016. 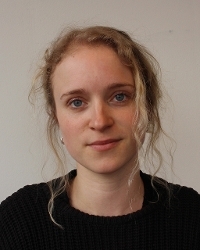 -Dutch doctoral candidate Teuntje Vosters, from the University of Leiden, who researches the history of asylum seeking in Europe, visited Carleton University in November 2017 at the invitation of the Mobility and Politics network, and shared her expertise with the CNHH in a blog. Congress 2018 Regina– As an affiliated committee of the Canadian Historical Association (CHA) for the first year, the CNHH will host a panel on “Histories of Humanitarianism and (Visual) Media” (schedule to be announced in the Program shortly). It will include four papers, on “Visual Displacement of Refugees: Lewis Hine’s First World War Photographs for the American Red Cross, 1918-1919”, by Sonya DeLaat; “Humanitarian cinema and visual advocacy in the 1920s: when seeing was believing”, by Valérie Gorin; “Global Media and the New Humanitarianism in the Context of the Vietnam War” by Soenke Kundel; and “Transformations of the Genre of the Humanitarian Documentary: Oxfam’s “Five Minutes to Midnight” (1974)”, by Andrew Jones and Dominique Marshall. – The CNHH will also host its Fifth Annual Reunion during one of the three lunch times scheduled for “business meetings”, TBA in the Program). Let me know if you have any point for the agenda, in addition to News from the members, Possible themes for workshops and panels; possible guests, etc.. The minutes of the last meeting can be found HERE. – There will be a workshop on the Thursday morning, May 31, where we will take the time to know more about the international work of Soenke Kunkel and Valérie Gorin. David Webster will talk about preserving and digitizing NGO archives in particular. He writes: “I’ve done some work on this with the East Timor Alert Network papers, now at McMaster archives, and with the Canada China Programme and Canada Asia Working Group (of the Canadian churches), on their way to the United Church archives.” If you know anyone of the NGO world in Regina who might be interested to join the workshop, let me know and I will be delighted to invite them. A call to register for the Annual Reunion and the Workshop will come your way later, to make sure to secure food, or to join us by Skype if you cannot attend. – CNHH members are presenting papers on other panels or for other learned societies meetings: JFK Institute post-doctoral fellow at the JFK Institute Jean-Michel Turcotte (CHA) on his doctoral work conducted at Laval about the treatment of German War prisoners by Canadians; Jill Campbell-Miller “Aid for Outmigration? : The Colombo Plan and Education of Healthcare Professionals from South and Southeast Asia in Canada, 1950-1968” Canadian Society for the History of Medicine (CSHM), and David Webster and Laura Madokoro on a common panel at the CHA meeting. – The CHA is offering Child Care Grants (covering the cost of one full day of child care, per child, ages 0 – 12) to assist members attending Congress. Please find the flyer for the grant HERE. There is also a fund for accessiblity and a travel fund for Graduate Students and Contract Faculty HERE. Conference – preliminary announcement: Histories of the Red Cross Movement since 1919 13/14 June 2019, Geneva, Switzerland. Organising Committee: Davide Rodogno (Graduate Institute of Development Studies), Neville Wylie (Nottingham University), Irène Herrmann (University of Geneva), Melanie Oppenheimer (Flinders University), James Crossland (John Moores University), Rosemary Wall (University of Hull), Branden Little (Webber State University) & Grant Mitchell (IFRC). Exhibition on Academic solidarity towards Chilean refugees in the 1970s, Carleton University, Department of History, December 2017. The CNHH work on the archives Latin America Working Group John Foster lead to the offer from Leonor Leon, of the former Canadian University Committee for Refugee Chilean Professionals and Students (CUCRCPS) , to exhibit reproduction of the work of Chilean muralist in exile Jose Venturelli. The launch attracted 65 people, half of them refugees of the first hour, humanitarians, diplomats, and representatives of some of the academic associations who composed the CUCRCPS in the 1970s (CALACS, CAUT, CUSA, SSHRC, WUSC, Universities Canada). We have started to gather documents related to the solidarity in collaboration with the MacOdrum Library. For the occasion, Archives and Research Collections displayed documents from their MATCH International, John Foster, and the student newspaper collections. Read about it HERE. -preserve all the information on pictures present and MIMSY together with the extensive existing search categories. In the short term, DIE will make stations available in their office at the Lester B. Pearson for researchers to consult the MIMSY data base. Researchers will have to contact Mr. Duchesne (see below) and come during office hours. He will show them how it works, and make high resolution copies available to them in a reasonable delay. DIE is also wanting to preserve the physical collection previously at Place du Portage (drawers of negatives, CDs of pictures, and related materials) and now in a locked room near their office. This is where they need to go when the pictures present in MIMSY are not yet digitized at High Resolution (only a small portion of the pictures are ready for publication). They will welcome copy of the interviews the CNHH is conducting with CIDA photographers. -John Foster Fonds. Veteran humanitarian of Oxfam Canada, Oxfam International, and the Latin America Working Group, to name a few, John has given personal papers to Carleton’s Archives and Research Collections. The transfer was finalised in November 2017. Read about it HERE. -More Archival Rescue Work: Ian Smillie (Development practitioner, consultant and writer) and Hunter Davies (School of International Development, University of Ottawa) are finalizing the bilingual call to retired humanitarian and development workers, and to their families, to save their archives. We will meet with the new archivist send a separate announcement. We have two interested people already. -Jill Campbell-Miller started the Twitter account of the CNHH in late November 2017: @AidHistoryCan She also maintains the Facebook page of the CNHH. -Sonya DeLaat and Dominique Marshall continue to work on the project of a virtual exhibit on images of refugees and aid launched last Spring. Sonya interviewed photographers and veteran humanitarian Meyer Brownstone. -The collection of essays out of the conference Conference A Samaritan State” Revisited: Historical Perspectives on Canadian Foreign Aid, 1950–2016, Ottawa, Global Affairs Canada, December 2016, edited by Greg Donaghy and CNHH member David Webster is with the publisher. -CNHH member David Meinen recently completed his comprehensive exams in September, receiving the results in October. He is also working on a research team with Kim Rygiel and Alison Mountz, both migration specialists at BSIA (Laurier side), to develop a policy brief on extraterritorial migration control issues for GAC and also the World Refugee Council. -Thanks to History BA student Chloe Burns’ co-op placement at Carleton’s Archives and Research Collections, the papers of John Foster are now in order. They are described HERE. 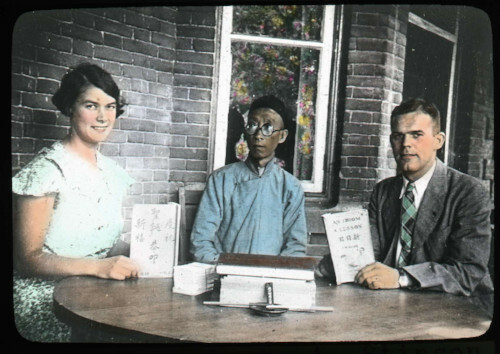 Chloe wrote another post about the lantern slide collection on Canadian missionaries in China John donated to ARC. HERE. -Thanks also to Honours’ Journalism and History student Research Assistant Sandrine Murray who is finishing her work for the CNHH. Her beautifully illustrated blogs raised the website to a new level. She is now in Italy, where she will report on the situation of refugees, in the Spring once her term as an exchange student is over. -The bid for the MITACS Globalink intern for the summer, although successful, did not attract interested student this time around. After the work with Uriel three years ago, we will keep trying. – Journalism and History BA student Lui Xia Lee will be working this Spring as a Research Assistant for CNHH member Sonya Grypma, on documents in Chinese pertaining to Canadian missions. -This academic year, I have welcomed three emerging scholars working on questions of aid and development: MA Karly Hurlock, co-supervised by Norman Hillmer, researches the history of Canadian-Indian relations in the 1980s (2017-2018); PhD Andriata Chironda, co-supervised by James Milner, is finishing work on History, Narrative and Refugee Resettlement: Constructing Refugee Eligibility in post-Colonial Africa; Post PhD associate Ryan Patterson, works with the Carleton University Research Group on the international dimensions of the history of disability. We have started to explore the history of advocacy for international rights of disabled people, with the actions of the Mennonite Central Committee as a point of departure. Lynne Taylor is a historian of twentieth-century Europe and works on state-society relations in the context of war. For the past two decades, her research has focused on the displaced persons crisis in American-occupied Germany, and specifically on the plight of what were called ‘unaccompanied children’ – children either orphaned or separated from their parents by the war. This work has resulted in a total of three books on various aspects of this particular part of the greater crisis. 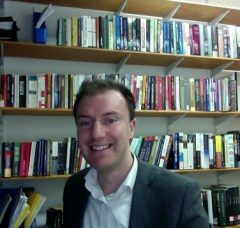 Also, welcome postdoctoral researcher, Jean-Michel Turcotte of the JFK Institute for North American Studies at the Free University Berlin. Jean-Michel’s research interests lie in war captivity, international humanitarian law, Geneva Conventions, western diplomatic history, and the history of international relations with particular focus between 1914 and 1953. 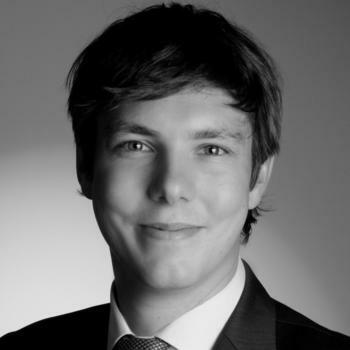 Finally, the CNHH welcomes Maximilian Klose, doctoral candidate at the Graduate School of North American Studies at the Free University of Berlin. Maximilian holds a BA in History and an MA in North American Studies. His research focuses on NGO CARE and aid programs to Germany from 1946 to the early 1960s. Considering the tremendous success of CARE’s aid efforts to Germany soon after the Second World War, Maximilian investigates donor motivations to reveal why Americans felt compelled to provide humanitarian assistance to the recently defeated enemy. To this purpose, he analyzes postwar American public discourse on German guilt and rehabilitation, US responsibility as a new global hegemon, and domestic, cultural values that might have contributed to CARE’s appeal.